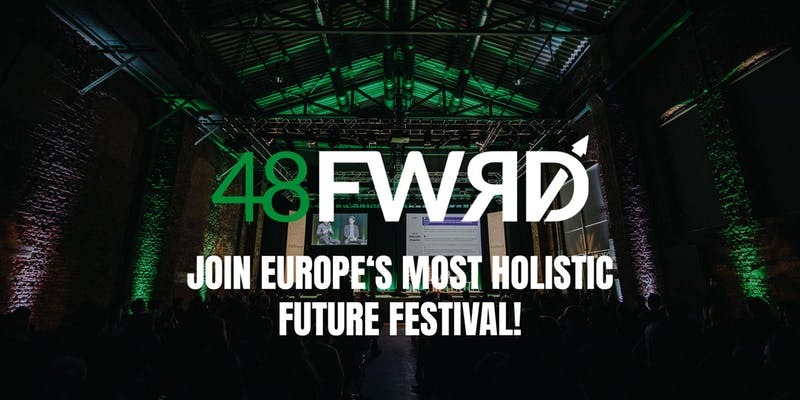 48forward is evolving from an one-day-conference into a two-day festival around innovation and future topics. The fourth annual event will be bigger than ever before. We are expecting more than 500 attendees from all over the world and around 80 international speakers. Our speakers will explore what changes and developments will transform and disrupt different life and economic areas. To figure out how our future will look like. What does AI to our economy and daily work? What impact will the blockchain have on our financial system? How can journalists fight fake-news-campaigns? What will the future of health look like? Will we still own a car in 10 years – and if so, who is going to drive it? What will our daily work look like in the upcoming decade? Our life changing faster than ever before. New technologies and social trends are evolving and are aiming to disrupt the way we work, life, love and trade – let’s talk about those developments. 48forward: Two days full of inspiring keynotes, meaningful panel discussions and networking.